EnviroTalks is a website devoted to just that… Talking about the environment. These days, the media is filled with stories on climate change, the dreaded image of a polar bear stranded on an ice flow and the like. So you may ask what makes this site any different?! 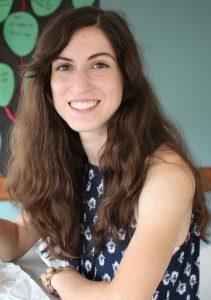 My name is Katelyn Boisvert, I am a student studying environmental science at Emory University, and what makes me special? I am not the media, or a politician, or even really a scientist…yet. In other words, I am just an average college student who has taken in interest in creating some change for the benefit of the world and society through sustainability and environmental action, while exploring some of the major concerns of climate change. I hope this website can introduce you to some of the major concepts and issues affecting our society today to gain an appreciation of the power of a single person. So after you have- hopefully not- bored yourself to death with the information on this website, get out there and become involved! Even if it’s something as small as turning off the lights, we all have to start somewhere. Growing up in Arizona, climate change and especially sustainability were an important part of my life. Cotton crops, cornfields, and dairy cows surrounded our neighborhood when we first moved there. As we lived in a wide valley, there was a clear—almost 360° view—of mountains and buttes from our windows and yard. We watched as that grand view slowly disappeared, replaced with the rooflines of houses and local businesses as urban sprawl caught up to us. Over the years, I saw issues such as drought, wildfires, and habitat loss manifest themselves all over the state, and it has gotten worse recently. Climate change is all over the news as awareness of major issues continues to spread. However, climate change is not easily described or represented by a single issue. In fact, the multi-faceted nature of climate change could be part of its definition. It is not simply warming temperatures or sea level rise, it is the combination and interplay between many factors. So naturally, when I tell people I am passionate about climate change the next question is often: What part? While this is a question I am still working towards answering, I can say this. I am passionate about human-environtment interactions and studying how the actions and choices we make in our everyday lives plays into the science of the environment. This is especially relevant to climate science study when considering the causes of climate change and what possible solutions there could be. I am particularly fascinated with the interplay of energy and water resources (a concept sometimes referred to as the energy-water nexus), and the study of how climate change may be impacting and also be affected by our use of these resources. To see what I am up to in the environmental realm click the In Action button in the menu above or follow this link! Also, don’t be afraid to post comments and get involved in the discussion! This website educated me so much as to small ways to get involved in sustainability. My roommate actually recently scolded me for not unplugging and turning off her speaker in our room. I thought, why? Then she, wonderfully, directed my attention to this website. It really helped. Thanks, Katelyn.